Since coming to prominence in the mid-‘80s, two-time Academy Award nominee Robert Downey Jr. has been considered one of the best actors of his generation by critics and fellow actors alike, and it’s easy to see why. Not only has he proven himself to be a versatile and powerful force in the industry, he’s also starred in quite a variety of films. His filmography still continues to show exceptional range, in regards to both range and genre. From heart-wrenching drama to biting satire, from frothy romantic comedy to character-driven dramas, he’s done it all. Most recently, he starred in the Hangover-reminiscent comedy Due Date and will star in the sequel Sherlock Holmes: A Game of Shadows later this year. Downey rarely lends his talents to romantic comedies, but this is one of those unique exceptions. He holds his own against dual love interests Mary Stuart Masterson and Cybill Shepherd. Downey leads this quirky take on the hero of Sir Arthur Conan Doyle’s literary classics. His performance manages to be both caustically humorous and intensely brutal. He develops some hysterical rapport with token sidekick Watson, played by Jude Law, and anchors the film to save it from its otherwise inevitable missteps. It might seem like a wannabe Woody Allen film on paper, but that’s not the case at all. 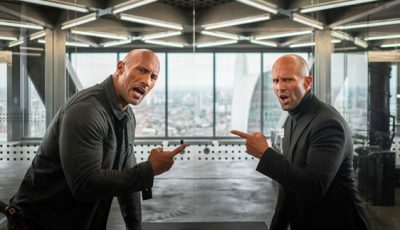 In fact, it’s one of the few films in the past several years to successfully combine the genres of comedy, mystery, and action. Downey’s performance and his chemistry with co-stars Val Kilmer and the always radiant Michelle Monaghan deserve much of the credit, but it all works thanks to Shane Black’s incomparable skill as a writer and director. Can’t wait to see what that duo has in store for Iron Man 3. Chaplin is considered by most to be Downey’s most impressive acting gig, and that’s a fair argument. 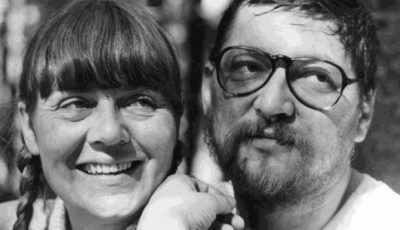 The film gets saved on the strength of his leading performance alone, but it works much better as a performance piece than as a narrative motion picture. One can’t deny Downey’s absolutely perfect interpretation of Charlie Chaplin. Joe Wright helms this drama about the friendship of a journalist and schizophrenic Juilliard student, taking a huge departure from his two previous films (Pride and Prejudice and Atonement). It doesn’t fit into the Hollywood cliché by boasting a confection-store-ready-sweet ending but rather employs a more realistic resolution. 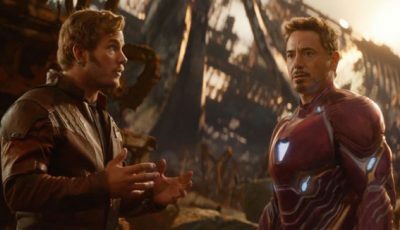 Downey’s performance here easily ranks as one of his best leading efforts, though Jamie Foxx’s supporting role might be the more powerful one. Too bad that the film was pushed from its initially planned late-2008 release; the Best Actor Oscar would have easily gone to Downey. The film that put Downey back on the map as one to watch in Hollywood. It’s might feature weaker fighting choreography than Spider-Man, and it might not be as psychological and socially insightful as The Dark Knight, but it doesn’t need to be. 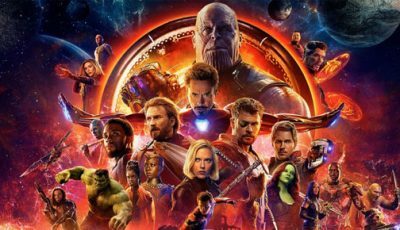 It’s a marvel (pun intended) because it manages to be a fast-paced, occasionally humorous, and well-acted action film; it’s everything a blockbuster should be. This film also holds a special place in my Downey-admiring heart, as this was my introduction to his extraordinary talent. 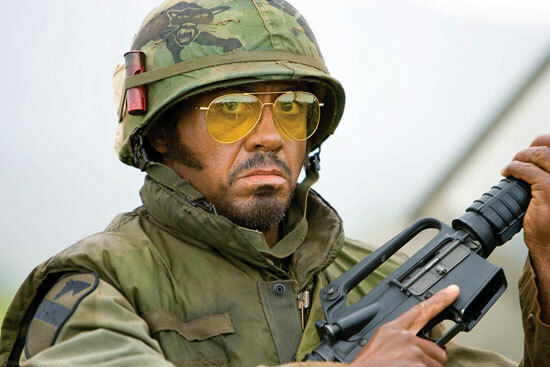 The trailer for Tropic Thunder presents us with what looked to be a Farrelly Brothers film. Sure, there’s nothing wrong with that (unless it’s Hall Pass), but we’re instead treated to a fusion of the brothers’ traditional gross-out humor and a bitingly satirical look at Hollywood. Downey picked up second Academy Award nomination for his portrayal of Australian method actor Kirk Lazarus, and Tom Cruise’s Les Grossman nabbed a Golden Globe nomination. Jodie Foster already nabbed two Oscars for her screen acting before stepping behind the camera to helm this touching family drama. She does a superb job of crafting a realistic portrait of the modern family, deftly avoiding stereotypes and clichés with her characters. 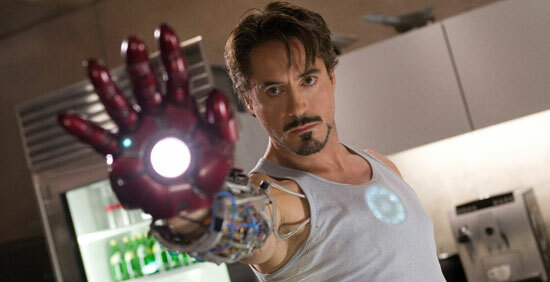 Downey in particular provides one of the film’s more intriguing character narratives. Putting Downey on the map for the first time in his career is his haunting performance as rich druggie Julian Wells in this drama based on the Bret Easton Ellis novel of the same name. It’s unfortunate that this role foresees events that would later take place in his own life. Director Mike Figgis perhaps remains a household name for his Oscar-winning drama Leaving Las Vegas, but this is his real masterpiece. In his first of two Downey collaborations, Wesley Snipes expertly leads this engaging and fascinating character drama alongside Nastassja Kinski. They share a one night stand, seemingly destined to never meet again, but fate might have other plans. 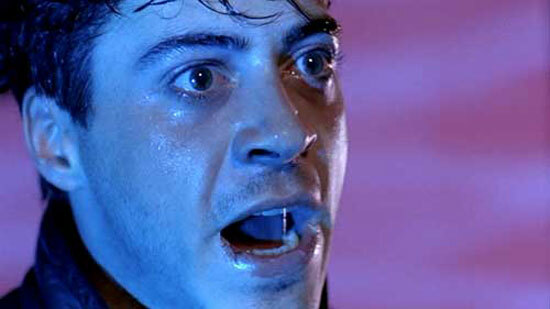 Here Downey turns in what may be his finest performance to date as a gay man dying of AIDS. He grips at the emotions (keep a box of tissues near you while watching) and provides the real heart of the story. Written and compiled by Julian Stark who is the founder and editor of Movies and Others Things. He is also a contributing writer for Player Affinity. Wonder Boys. Yeah, it’s not technically RDJ’s movie, but he was so funny in it. He stole every scene he was in. Love Wonder Boys Anna and Downey Jr is great in it. Great choice! 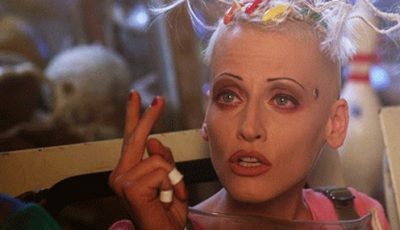 I think he’s great in Weird Science too! Out of Julian’s list I’d have to bump Kiss Kiss Bang Bang and Chaplin up higher – two exceptional performances in two excellent movies. Like Tom, I haven’t seen all the picks above, but I’d have placed Chaplin and KKBB up higher too. No mention of Zodiac? Still, I agree most wholeheartedly with the top two here!! 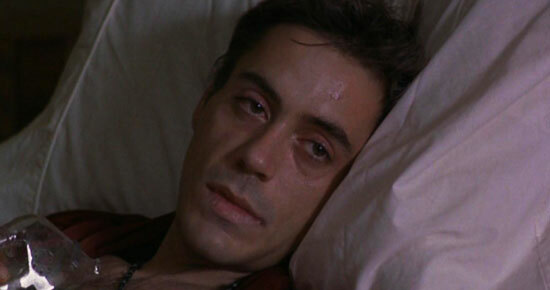 I am so left behind in RDJ’s movies. I have only watched a few of his movie and the one that I like the most is when he is not the main actor, I forgot the title, he was playing with Tommy Lee Jones and Wesley Snipe. I would have included Zodiac as well. It’s amazing how many excellent supporting turns Downey has turned out. 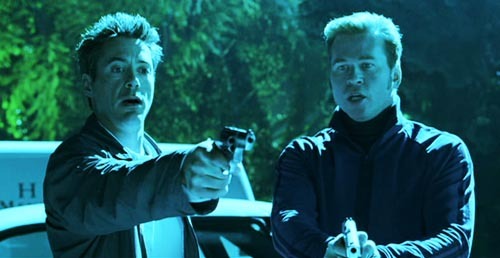 Yea, like Tom, I haven’t seen much of Robert Downey Jr prior to Kiss Kiss Bang Bang. The only two movie actually were Air America and US Marshals. FYC Richard III, even if he hams it a little bit in that movie. I actually also admire his performance in Kiss Kiss Bang Bang. He’s probably the only grown man who can act measuredly awkward. Two movies missing here that I would probably include on mine are Zodiac and Charlie Bartlett. I know that second one isn’t the greatest of films, but it’s one of those indie films that hits you at the right time and remains enjoyable every time you watch it afterwards. Would probably have Kiss Kiss Bang Bang higher as well, but I do quite a few RDJ films to watch. Great list I like that “Less Than Zero” is number 2 only because I’m not familiar with One Night Stand so I would of put Less Than Zero at number 1. What can I say I loved that film. I think it’s actually better than the book. I also would of squeezed “The Pick Up Artist” in the list somewhere. What a great film Robert Downey JR & Molly Ringwald what more to say! I still think to this day LTZ is RDJ’s best performance. Revisiting this list, the more I think, god I wish I wrote it! What a great list on one of my favorite actors…. hats off to you Julian Stark. I like to open up discussing my favorite actor with the following: “Tropic Thunder” brought him to my attention and “Less than Zero” compelled me to go above and beyond in researching the ups and downs of his career. Getting all of that taken care of first so I can say in the positive. Lots of great films you picked. I’d seen all except for “One Night Stand,” which I’d only seen parts of. Personally, I would bump up “Kiss Kiss Bang Bang” and “Tropic Thunder” towards the top simply because, however great he was in “Less than Zero,” that was just hard to watch. Other honorable mentions: “Charlie Bartlett” (not among the films I wanted to see of his but I fell in love with everything about it), “Fur: The Imaginary Portrait of Diane Arbus” (you don’t see his face through most of this movie but his charisma comes through beautifully), and “Zodiac” (simply put, I lost interest in the film as soon as his character disappeared. I like Mark Ruffalo and Jake Gyllenhaal but they didn’t carry that same magnetism). 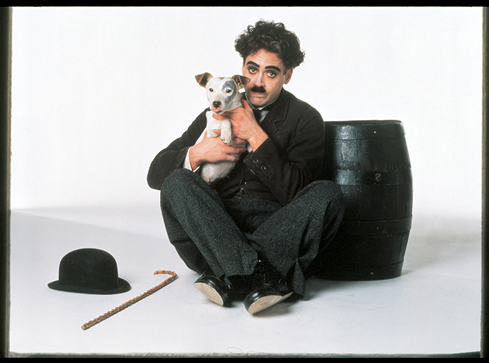 I’ve been a long time fan of ” Robert Downey Jr. ” and since 1992 he ” CHAPLIN ” embodied , a fortiori . This extremely good-looking actor wanted to bridge his life only with ” flaws ” what did not work and he slipped like many before and after him . It does not matter if this so Robert liked it or not , what his drug crashes as alcohol also is concerned, he who is and what he can = same top performances ! 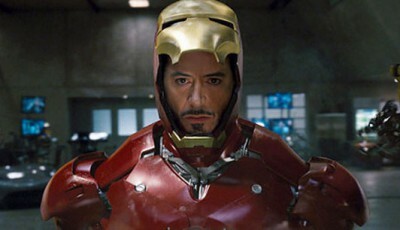 Chapeau Mister Robert Downey jr . = All Warning ! I am curious to see if he is really molt when he got a bit older , the roles he embodied then ! ” R.-D. Jr. ” In any case is a jochbegabter and handsome man . Keep it up !